Denise R. Yarnoff is a land use and zoning attorney with the Exton office of Riley Riper Hollin & Colagreco. She is a firm shareholder and co-chairs the Land Use and Zoning Practice Group. Denise represents some of the most prominent international, national, regional and local companies, developers and individuals in complex zoning, real estate and land development matters throughout Pennsylvania. Since joining Riley Riper in 1987, Denise has expertly guided clients to obtain all permits and applications related to retail, residential, office, institutional and industrial ground up developments, expansions and redevelopments. Her clients rely on her experience to help them address and overcome the many zoning, regulatory and permitting hurdles they face at every stage of their complex projects. Denise has distinguished herself as the “go to” land use and zoning lawyer for clients from a broad cross-section of industries, including large and small commercial developers; mixed-use developers; single- and multi-family residential developers; shopping centers and malls; hospitals; energy and public utilities; golf courses, country clubs and resorts. She also works closely with clients whose projects have unique renewable energy, environmental and sustainability components. Denise’s ability to successfully, efficiently and effectively pursue approvals has earned her the distinction of being one of the top zoning attorneys in the Philadelphia region. She credits her success to being responsive to client needs and giving each matter her full engagement. In order to obtain the approvals required to greenlight her clients’ projects, she works diligently with municipalities as well as federal and state agencies such as the Pennsylvania Department of Transportation (PennDot), the Army Corps of Engineers (ACOE), the Pennsylvania Department of Environmental Protection (PADEP), the United States Fish and Wildlife Service (USFWS), the Pennsylvania Fish and Boat Commission (PAFBC), the Pennsylvania Historic and Museum Commission (PHMC) and the various County Conservation Districts. Denise has successfully secured land use and zoning approvals for several office campuses that encompass over two million square feet; several half-billion dollar expansions of health care facilities; multi-county capital improvement projects for area utilities; and large shopping center/mall development. Her sought-after counsel is particularly valuable to clients with large, complex projects that face numerous challenges or tough opposition. 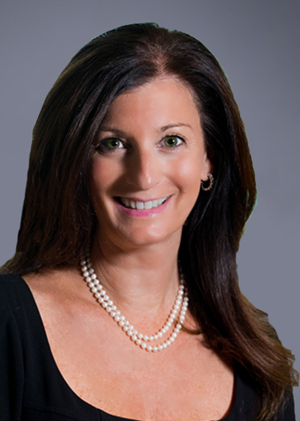 Denise earned her Juris Doctor from Villanova University and her Bachelor of Arts from Emory University. A member of the Pennsylvania and Chester County Bar Associations, she is often called upon to speak at land use organization conferences and is a guest lecturer at universities in the Philadelphia area.